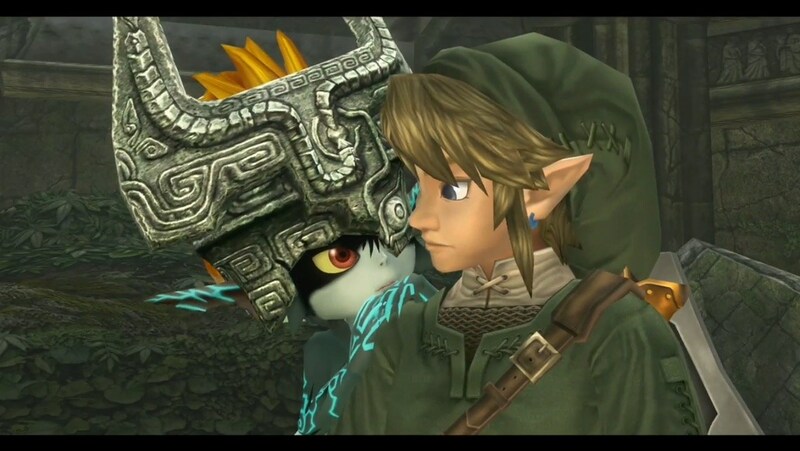 In the lead up to the release of The Legend of Zelda: Breath of the Wild, I went back and played all of the 3D Zelda titles I hadn’t actually completed: Majora’s Mask, Twilight Princess, and Skyward Sword. Though I wasn’t a fan of how the games became slower to start with each successive iteration’s expansion of boring tutorials, I enjoyed them all very much. I’d say Majora’s Mask was the best, followed by Skyward Sword, and then Twilight Princess (If that order triggers you, hold onto your butts, because this isn’t the most controversial claim I’m going to make). For all the claims of “it’s the same old Zelda” surrounding every previous Zelda release, each mainline Zelda game does something wildly different with its gameplay or style that’s unique to its entry at the time of its conception. At this point, every aspect of Zelda has been changed for at least one entry, other than the Hero being a Link (we don’t talk about CDi games here). The Legend of Zelda has many sacred cows, but Nintendo has always been willing to take them out back if they want some hamburgers. 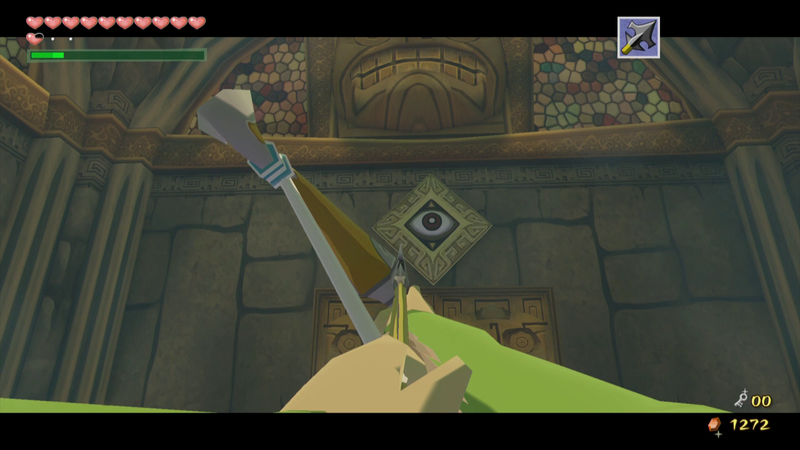 With Breath of the Wild we saw this manifest when traditional items and dungeons were nixed in exchange for Runes, freedom of choice, and actual puzzles with open ended solutions. This was my favorite change to the series in all honesty, and I’m utterly baffled as to why people loved the old Zelda dungeons so much, as they’re my personal low point of the games. The way they were presented in most entries reinforced linearity, a trait that isn’t inherently bad but gets stale after several decades, like how an amazing Kobe steak isn’t as great after exclusively eating them for 100 meals straight. Traditional Zelda dungeons are the purest distillation of the “same-y-ness” that many fans had complained about for years: Players have to go to X-dungeon first, deal with Y-theme, find Z-item, and use it to interact with a clearly denoted “puzzle” that is solved exclusively by using the item you just found in the immediate area, this includes the bosses that are inevitably felled by proper use of said item as well. Every dungeon repeats the process, adding a new item, and fans act as if shooting an eye-marker with an arrow is a puzzle. 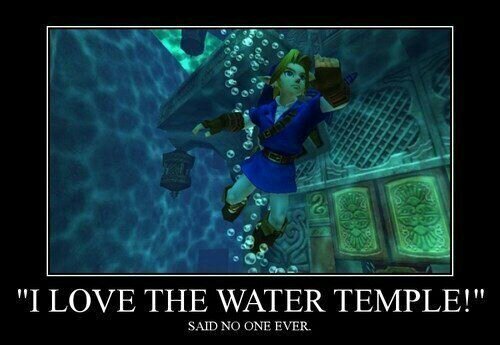 That’s a non-factor in Breath of the Wild. As soon as players leave the Great Plateau “tutorial” area, they are equipped with every tool necessary for the completion of the game, and may tackle the sprawling realm of Hyrule however they may wish, and that includes the puzzles! Almost every puzzle in the game has multiple valid solutions, and this is part of the reason why Breath of the Wild became such a social experience, despite being a single-player game: The open nature allowed everyone to approach and overcome trials in their own way. For example, in one shrine, I used stasis to stop some swinging metal balls from knocking me off of a catwalk, while the Mrs. used magnesis to wrap them around a pole and stop them from reaching her path. Both were legitimate solutions to the problem at hand, and learning how others approached similar situations and came up with entirely different answers made Breath of the Wild infinitely more interesting than discussing any previous Zelda dungeon, puzzle, or quest. Was it a shame the Divine Beast “dungeons” were short? Yes. Was it a shame that they were glorified shrines? Not at all, because the shrines were a highlight. A handful of shrines offered more actual puzzles than the entirety of Twilight Princess. With over 120 shrines, four Divine Beasts, and the DLC trial, Breath of the Wild offered more real puzzles than the rest of the series combined, and at no point did any of those things wear out their welcome, unlike say the Water Temples. This meme is factually inaccurate, there’s always -that- one. Dungeons in other Zelda titles become a slog and act as a replacement for the exploration that was the hallmark of early Zelda games. They were a series of inane tasks strung together in a way that made some players feel accomplished. Breath of the Wild put the emphasis back on exploration and enhanced the experimentation aspect. Breath of the Wild’s take on the realm of Hyrule is far more interesting than any of the previous entries, and little to nothing takes players out of it for extended periods of time, like a traditional dungeon would. That’s a positive thing. Breaking from traditional dungeons and going with bite-sized bouts of puzzling via shrines allowed for far more freedom in puzzle design as well, because the puzzles weren’t restricted to the use of certain items, progression paths, or overarching themes. It made every shrine an exciting discovery with an air of mystery as you proceed to enter. Yes, some are very similar, like the test of strength shrines all being duels with weapon wielding guardians, but for the most part they all present something unique to them that actually justifies their existence, as opposed to being the video game equivalent of busy work after finding the dungeon’s item. I could be wrong about the importance of dungeons, but I personally enjoyed Breath of the Wild for its riveting exploration, and beefier dungeons would have simply taken away from the time I spent in the wilds of Hyrule, living the greatest adventure Nintendo has ever created. What do you think? Do you really miss the Zelda Dungeons, or do you approve of Breath of the Wild’s approach to puzzling? Feel free to praise or admonish my blasphemous thoughts in the comments section below.